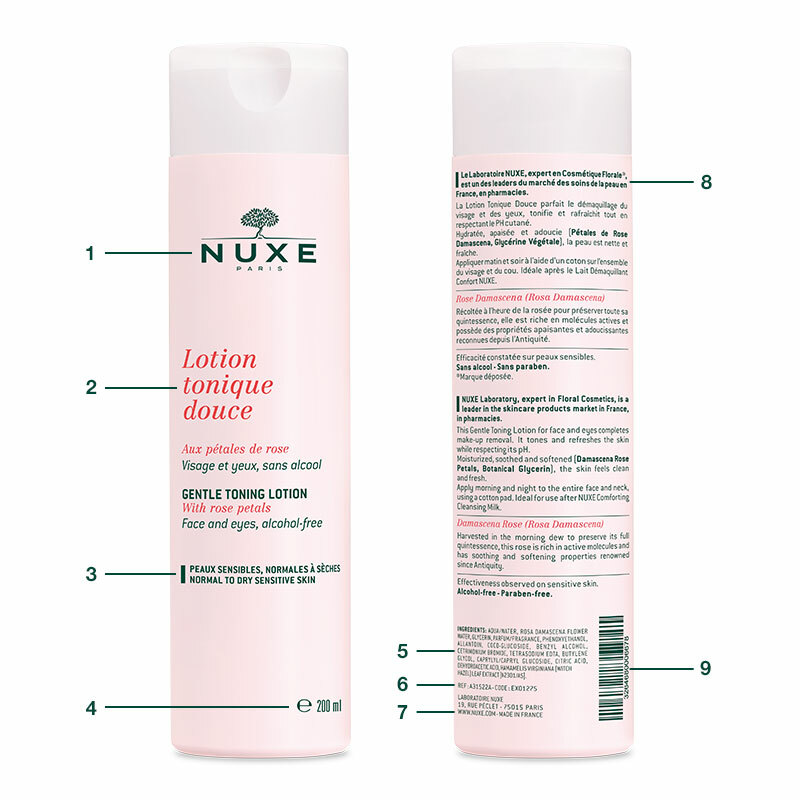 What is NUXE care products use-by-date? Most NUXE formulations have a proven stability lasting for 30 months. Therefore, in compliance with current regulations, they don't need any use-by date. However, we mention product durability after opening. Thus, you may see on our labels a pictogram representing an open jar indicating the recommended useful period once the container has been opened. It generally ranges from 6 (6M) to 24 months (24M). All our products are non-comedogenic, i.e. they do not favour the appearance of comedones. What is NUXE policy on animal testing? Laboratoire NUXE does not test neither its products nor the ingredients in its products on animals, thus complying with European regulations. The finished products are evaluated by independent test laboratories, through alternative methods and/or clinical trials on volunteers. In China, the authorities require that the products be made available for testing in state-approved laboratories, according to the local safety regulations. How to read the packaging? 4. CONTENTS: Quantity of product stated in weight or volume. The 'e' shown in front of this information guarantees that the quantity of product has been subjected to checks and is compliant with the measurement system used in the European Union. 5. DESCRIPTION: Details of the product's benefits and results. This information may appear translated in several languages. 6. INGREDIENTS: INCI List (International Nomenclature of Cosmetic Ingredients) of the ingredients contained in the formula, in descending order of concentration. 7. TYPE OF PACKAGING: HDPE, PP, PET are packaging materials. 8. MADE IN FRANCE: Product manufactured in France. 9. LABORATOIRE NUXE 19 rue Péclet 75015 Paris: The name and postal address of the company releasing the product onto the market. 10. www.nuxe.com: Address of the brand's website. 11. ECO-PACKAGING: Monetary participation in European programs aimed at eliminating and recycling all packaging components. 12. STORAGE LIFE AFTER OPENING: Recommended period, stated as a number of months, during which the product must be used after opening, assuming normal storage conditions and no exposure to extreme temperatures. E.g. : 12M, the product can be used for 12 months after opening. 14. EAN CODE: Barcode number. INSTRUCTIONS FOR USE: Information on special precautions for use and the list of ingredients, if this information is not shown on the packaging. Can NUXE products be used during pregnancy and/or breastfeeding? NUXE does not market any specific range for women who are pregnant or breastfeeding. Only the face care products can be used during these periods. NUXE is a natural cosmetic brand, what does it mean? Nature is our philosophy. Laboratoire NUXE always favors the use of natural ingredients. Sometimes, certain synthetic ingredients need to be added (e.g. sunscreens). Our products have a high percentage of natural ingredients, which in most cases are of botanical origin, and contain no mineral oils nor animal-origin ingredients (excluding products from the hive). The percentages of these natural ingredients are also shown on our products. Can I apply your products on my child’s skin? Laboratoire NUXE does not make products for babies (under 3 years of age), or for children (from age 3 up to adolescence). As we have not developed products specifically for this target age group, we recommend not to use NUXE products on children skin.